 Planning a trip across Europe with your caravan? So are we. We’ll post any useful info we find here, as well as updates on our trip, to help you plan something similar with your family. Update: Well, our European Caravan Trip was fantastic. Here’s our video of the trip. To read our series in order, where we take you through the planning and where we went, then click here to read the first article: Can you have a Mediterranean style family beach holiday with a caravan? The Mountains Are Calling and I must.. take the caravan! Can you have a Mediterranean style family beach holiday with a caravan?